Today I’d like to talk to you about death. Why? Well, because it’s Ash Wednesday, and that’s always a good time to talk about death. Also, because we don’t talk about death enough. A clergy friend of mine says she always greets Ash Wednesday and the start of Lent with an enormous sense of relief, because we are finally free to talk about everything we don’t want to talk about, and the things we don’t want to talk about are usually the greatest burdens on our hearts. I’d like to talk about how most of us misunderstand death in a fundamental way even though we’re Christians. We treat death as final. We treat death as a complete ending of our relationship with the person who has died, and that’s actually not at all true. We find evidence of this right in our own catechism, and every time I quote this to people, they’re surprised. “Why do we pray for the dead?” the question reads in the catechism (it’s on page 862 in your prayerbook if you’re interested). There’s a lot going on theologically in that one short sentence, and we need to unpack it because it can challenge many of our default assumptions about death. Well, that makes sense. Of course we still love the people in our lives who have died. But consider what that means. That very human and everyday reality that we still love our friends and family members who have died proves that love is stronger than death! Death cannot end love, in fact, it can’t even really affect it at all. In fact, death often makes our love stronger! We cherish the memories of our loved ones because we know we can’t make new ones. Okay, let’s stop and think about what that means. I would posit that this choice does not necessarily have to occur before we die. God has perfect freedom, and thus God is not bound by whether the soul God is interacting with is alive or dead. So some of us will choose to serve God before we die, and I think it’s possible that some of us will not choose to serve God until after we die and have a stronger sense of how much God loves us and wants to be with us. And if there’s one thing I know about God, it is that God will never, ever, ever turn away anyone who asks to be with God. So our beloved departed always have choice before them. There is no such thing as “no time left” to turn toward God. So after that choice, when the soul, alive or dead, has said yes to God, then what? So many of us make the assumption that when we die, the minute our heart stops beating and we stop breathing, we suddenly enter a state of beatific enlightenment. “Will grow in his love”—that implies change! Wow! When I first read that it was actually a tremendous relief to me. I had a horror of a completely flat and static eternity where everything was the same forever because everything was perfect. That sounds awful to me, honestly. Stone boring at the very least. But according to our catechism, death does not end our growth, which actually makes all kinds of sense. Neither God nor we would be fully good unless we had the ability and the desire to change and grow. Just because our biological bodies get worn out or meet an accidental end of some kind does not mean God is finished with us, does not mean our spiritual work is done, does not mean that God doesn’t have amazing new things for us to grow into and discover. That “now” is “always” with God. “Now” never ends with God. That’s what we mean by everlasting salvation. It is ever changing, ever growing, ever present, ever available. This is the Christian hope. Rather different from living our whole lives in fear that we haven’t earned a “get-out-of-hell-free card” in time enough before we die, isn’t it? Here’s what I’m leading up to with all this, and where I’ve recently come to a new understanding about death. Up to now we’ve been considering the people in our lives who have died whom we loved, and what good news it is to think about the choice they still and always have to turn toward God, and the amazing ways in which God is still leading them to new growth. But if we live long enough, there will be someone in our lives who dies with whom we do not have peace. There will be someone in our lives who dies who has betrayed us, hurt us, abused us or someone we love, abandoned us, and with whom we are unreconciled. There will be someone in our lives whom we can’t forgive, and that unhealed pain in our hearts will fester. How can we forgive someone who would never say “I’m sorry” when he or she was alive, and now for sure we will never hear an apology or experience restitution from that person because they are dead? There is no closure. There is no peace. And oftentimes, if you’re like me at all, it is very, very difficult to find forgiveness for that person. They’re dead and we’re still here bearing the pain. Their problems are over. We’re still stuck with the mess they left. I know I’m not the only one who’s been in this place. Well, we who are stuck with unanswered questions and unhealed pain are blessed by the good theology of our church, perhaps in ways its authors never even realized. What would it be like to see God as God is? Surely to see God as God is, to see God face to face, would be the culmination of our spiritual journey, the final step of healing and resurrection. 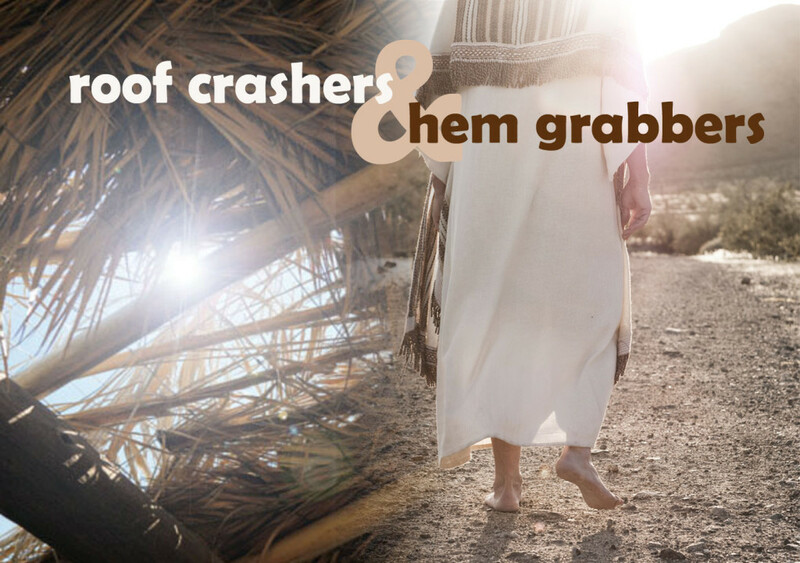 No more burdens of sin or shame or grief. In that moment, we would be completely and fully the person God created us to be, utterly liberated from both the pain we suffered and the pain we caused on Earth. This is the final destiny of all souls, and the destiny of the people we struggle to forgive now, should they but for one instant turn toward God and open themselves to God. So think of that person you can’t forgive, utterly healed of whatever made that person do terrible things on earth, be it tragic mistake, addiction, personality disorder, or even the influence of true evil. Think of what that person would be like, freed of all those things to be the person he or she was created to be. When they see God as God is, having been freed to be who they are, that answer becomes true for them as well. Then they can pray for us. Then they can love us in a way they could not on Earth. With God, in the resurrection, they are no more bound by death than God is. And so that broken, pain-filled relationship that has been like an open wound in our hearts for all these years—we know now that it is not over! There is potential for forgiveness. There is potential for healing. There is potential for growth and love and all the things that could not happen when both they and we were trapped by our sins and scars on earth. And where there is life, there is hope, even in the most broken and secret wounds of our spirits. That person or people you can’t forgive—I’m not expecting either myself or you to walk out of here today suddenly brimming over with good will and love toward someone who did so much damage. But what I’m hoping is that we walk out of here knowing that the story is not over. Our relationship is not over. Now that this person is dead, rather than that being an ending of possibility, it’s a whole new beginning of possibility for that person to be who they never could be on earth. Death in some ways brings a certain safety—they can no longer inflict additional pain, and neither can we. And that opens a door to that new possibility for healing. It’s up to us to have the courage to say yes to that possibility. It’s up to us to do exactly what our catechism says and pray for the dead. It’s scary to consider working through and being vulnerable enough to the pain that has been stuck in our hearts like a great thorn for so long that we’ve actually formed emotional scar tissue around it. Considering that our relationship with the person who hurt us or our loved ones most is not over is risky. There may be more pain as God leads us down a new path of prayer and inner work. But the important thing to remember is that the dead are not the only ones for whom life is changed, not ended. We are trying to pray for someone on the other side of a broken relationship, but it’s possible they’re trying to do the same thing from their side of the veil. And today, Ash Wednesday, the veil is very, very thin. On this day, when we the living are brushed with the finger of death in the ash on our foreheads, we can choose whether or not to let ourselves be touched by the ones who hurt us and then died. Because hate is not the opposite of love, indifference is. They’re not just the ones who hurt us and then died, they’re the ones we loved, and we hurt each other, and then part of both of us died. So alive or dead, think about the people you struggle to forgive today, and take these ashes as a sign that God is not finished with any of us. God is not finished with the one who have hurt us, or the ones we have hurt, or ourselves. And there is healing possible if we have the courage to face not only the pain in our lives and relationships, but if we have the courage to accept the possibility of resurrection. There are places in life where the cross seems to lead only to the tomb, and sometimes we get stuck there. Our pain and anger gets so familiar that it’s almost comfortable, and we quit imagining the possibility of liberation from them, of seeing the stone rolled away. Our three days of waiting for life to rise again may take years, a lifetime in some relationships, but we do not have to be idle. We can pray, with humble and vulnerable hearts, knowing the stone may be rolled away but not if we really don’t want it to be, knowing that healing hurts but it is worth it. So the words in our prayerbook are not just about the dead people in our lives with whom we may have unfinished business. They can be for the dead possibilities in our hearts, the dead potential, the dead faith, the dead forgiveness, the dead love. Why do we pray for our own dead hearts? Thank you once again for a well written and thought provoking sermon. I been struggling with a death from person that hurted me so much. All I wanted from this person was love cause she was my daughter grandmother (from father side) Thank you so much for this beautiful writen. My late husband was abusive and never once said he was sorry so it is a little hard to forgive someone like that. I’m so sorry to hear that you suffered abuse from your husband, and that you are still hurting. You’re right, that is the hardest forgiveness to find, forgiveness for someone who never apologized and never expressed remorse. I can only offer my journey in how I’ve struggled with this, and pray that you might know the presence of God in this. Peace be with you.